Did you know that 1 out of 10 Americans die from being physically inactive? Combined with poor dietary choices, inactivity is a major contributor to obesity. If you’re considered obese, you’re not alone – obesity affects 35% of adults over the age of 20. According to the CDC, such high prevalence suggests that obesity isn’t an issue that affects random individuals – it’s quickly becoming an epidemic across the nation. In addition to extreme weight gain, patients who are obese are much more likely to develop a number of secondary health problems, including sleep apnea. Find out more about obesity, the damage it causes, and how to finally make it a thing of the past. Weight gain doesn’t just affect the physical appearance of your body. In patients who are obese or morbidly obese, tissues in your mouth and throat become engorged, ultimately to the point where they block the airway and interfere with breathing. As patients sleep, these enlarged tissues prevent proper airflow, stopping breathing and causing obstructive sleep apnea (OSA). Although countless fad diets have made bold claims of varying effectiveness about how they can help you shed pounds, the true way to get in shape has always been the same. The key to overcoming obesity boils down to two major factors: healthy diet and consistent exercise plan. By committing to mastering these cornerstones, you’ll be able to defeat your obesity, and reduce the impact OSA has on your life. If omitting foods from this list makes you question whether life is worth living, then know that sugar is an addiction and that every time you make a positive dietary decision it gets easier. If you’re obese and ready to change, it can be tempting to starve yourself and avoid food altogether, but that will only make you less healthy. Food is required for energy, including the energy it takes to boost your metabolism and shed pounds. Therefore, part of the challenge with conquering your obesity is to make smart dietary choices everyday. A good rule of thumb is to stick to the outer aisles of the supermarket and only buy fresh produce. Packing healthy meals ahead of time can also help you stick to a diet plan. To really start shedding pounds, it can be worthwhile to broaden and advance your food knowledge. This can mean trying a legitimate dietary shift to Paleo or Veganism, working with a dietitian or nutritionist to enhance your knowledge of smart eating. The trick to getting in a consistent habit of working out is to find the ways that you love to be active. This can be daily walks with a friend, jogging around your neighborhood, or getting deeply involved in a sport or martial art. If you don’t like running, sign up for a kickboxing class. Not a fan of land activities? Try swimming or kayaking. 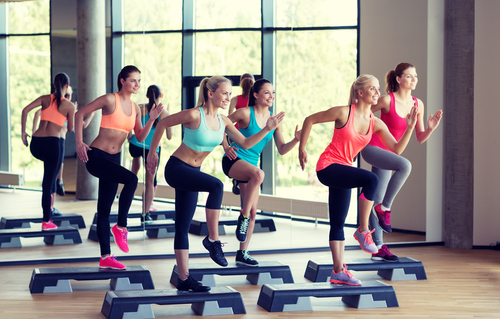 Finding what motivates you to put on your gym clothes and stay active will definitely help you stay focused and consistent with a workout regimen. To get better at anything, it’s important to study under those who are more experienced than yourself. If you’re intimidated to ask a fit friend or acquaintance for workout advice, you definitely shouldn’t be – one thing about fit-conscious people is that they typically love sharing their knowledge with those who are genuinely interested. Learn from others who take care of their bodies, and you’ll soon be adopting their positive habits for yourself. One major challenge in starting a workout plan is holding yourself accountable. If it’s just you forcing yourself to workout, it’s much easier to talk yourself out of it than if you have others expecting you to be at a class or team practice. Whether you join a boxing gym, a Yoga studio, or hire a personal trainer, each of these things will help you hold yourself accountable for staying active. Even having a likeminded workout partner can provide the accountability you need to stick to your workout plan. If obesity is part of your sleep apnea problem, then getting down to a healthy weight will help reduce symptoms immensely. At Alpine Dental, Deborah Klein has over 25 years of experience working with patients. With a friendly team and deep knowledge of sleeping disorders, she can help you regain control of your sleep apnea. 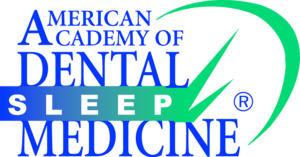 Contact our dental team in North Barrington, Illinois to see how we can restore your ability to sleep through the night.